When I decided to write a novel, I had no idea it would take so damn long to get all those pesky ducks quacking from the same hymn sheet. I started in earnest in November 2012 and now we’re in July 2016. 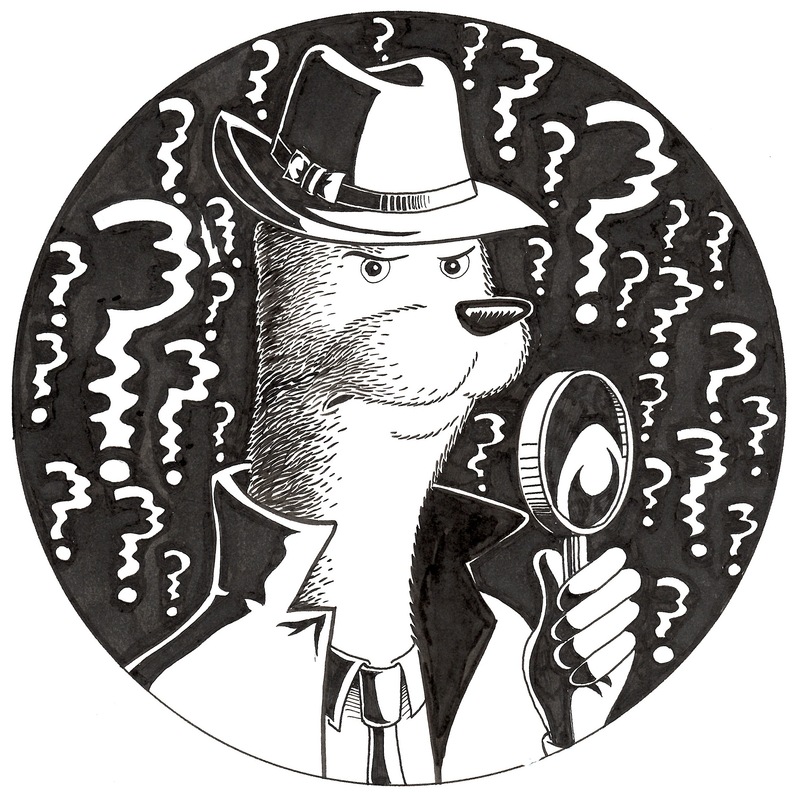 The Ferret Files is due for release as an e-book the first week of August 2016. So what have I learned over this time? Don’t take ‘no’ for an answer. Many moons ago, I had a meeting with Micheal Jacob, who was head of the BBC’s commissioning arm for new shows ( I was trying to get a sitcom off the ground, with a bunch of pals) and he asked me in the very first pitching workshop we did what it was I really wanted to get made? Well, I thought about it, and thought about it some more. He looked at me knowingly, and said: “It’s not this show, is it?” And he was right. His advice was to find an idea that I truly believed in, then refuse to take ‘no’ for an answer. Whatever it took, believe in it, live it and make it happen. Ferret is it. When I decided to set-to writing, I spent some time going through all my old notes dating back 15 years and rediscovered the fabulous furry Ferret. There were a dozen one-off stories and to begin with, I tried to weave them all into one book. Clue: it didn’t work. So I took the best story I had and made it into the first novel. Get a support network. Early on, it was Twitter and WordPress. Then, when the manuscript had progressed sufficiently, friends and family, not forgetting the artist of the piece, Richard Argent. There was a point when I was hiding behind the illustrations, as in asking everyone what they thought of pictures rather than the text. Every writer goes through periods of self-loathing and hating the novel, it’s part of the creative process. Miraculously, whenever I was having a down period, a picture would appear, either in draft or completed form. Knowing that someone else gets the characters was really important. I can’t thank Richard enough for those lifts, especially as he didn’t even know I needed them. Do it for the love of Art, not the $$$. Enjoy what you do and make your finished work an expression of you. If I’d wanted to bring Ferret in cheap, I could have lost the artwork. But, I wanted to do something unique. Personally, I think the finished novel is better with the pictures – feedback will tell. One change I made in the final draft, after talking it over a lot, was to remove the names of celebrities and replace them with text such as: ‘a well known English footballer and the ex-popstar missus’. It’s a detective novel, go work it out. 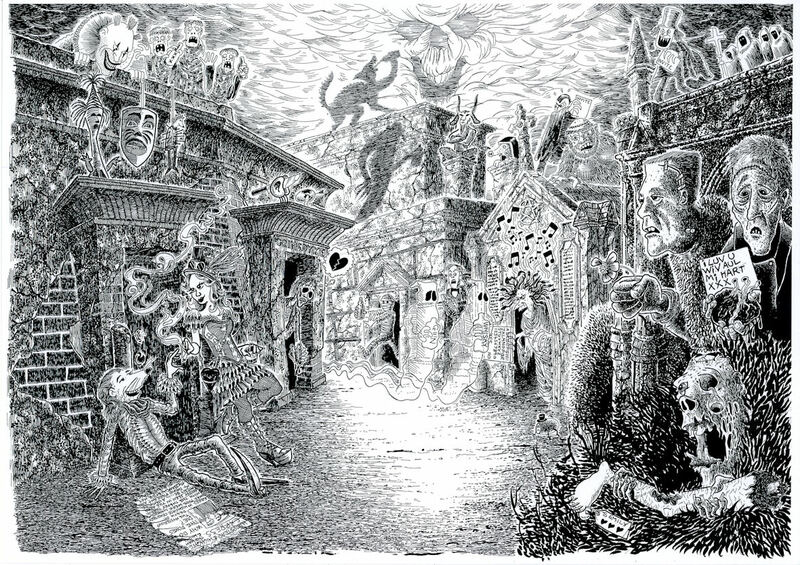 If you’re still stumped, go look at the illustrations. Russell Brand is brilliant. Find a good coffee shop. Not the Amsterdam type of coffee shop, somewhere where you can take your laptop, have a decent cup of coffee and experience life. Remove those headphones, and watch and listen. Writing is a solitary occupation, and when you get blocked-up no amount of internal dialogue will unblock you. It has to come from outside. Most of the situations and characters I create as an author are based on real life scenarios, either things I’ve experienced or stories people have told me. Occasionally, I borrow stories I overhear. Sometimes I borrow people. A coffee shop is a good place to start. If anyone asks you what you’re doing, tell them. At some point, you’re going to have to talk about your work and practice makes perfect. So bat some ideas about, see what kind of feedback you get. Strangers are often far more honest than those who are close to you. That’s it for today. Now, where did I put my pint of Fursty Ferret? Well, I finally finished editing Ferret to my satisfaction and during the read through noticed that the illustrations are not as well spaced as they might be. Cue a mad panic and a half dozen vignettes, which I must say have turned out to be rather splendid. So much so, I thought I’d post a couple for your delectation. 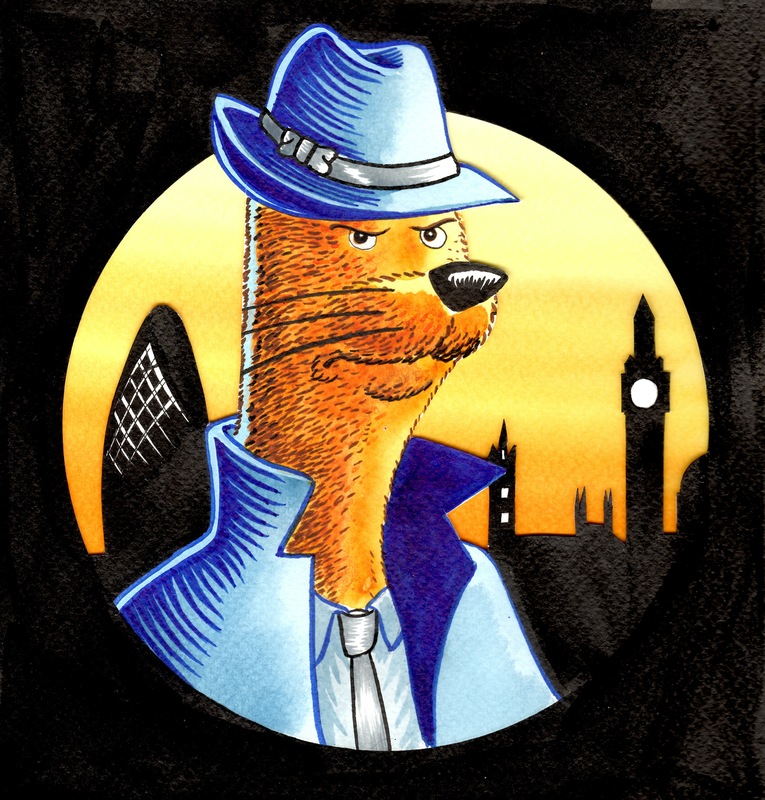 This is the fourth and final illustration for the Ferret Files, as drawn by my good pal Richard Argent, over at Argent Art. Here’s the final Ferret illustration, for now, from my good pal Richard Argent over at Argent Art. When I set out to write, I wanted to create the novel I’d been waiting 40 odd years to read. At some point, I figured, someone would combine the paranormal, an extinct Nazi drugs program, City of London banksters and financial malfeasance into a coherent story. But no. Still waiting. Lob in a healthy dose of humor, some consultant doublespeak and several years of my own experiences working for the Government on programmes I can’t talk about, and you’ve got the Ferret Files. I should point out that Ferret the Detecting Consultant is a real person, not a cartoon character. He runs a detective agency, this is his logo and it’s what appears on his business cards. Very kindly, he’s agreed to lend it to me, to help promote his story. Over the next few days I’ll publish some of Richard’s other Ferret illustrations – they’re very good. He’s currently working on a half dozen sketches, drawn in his usual style, as illustrations for the finished novel. I can’t wait to see key scenes of London, populated with my characters, it’s going to rock big time.